Sydney Valerio is an adjunct professor at Fordham University’s School of Education. She also teaches high school English in the New York public school system. Of Dominican descent, her participation in the field portion of the PIER’s Summer Institute for Educators in July 2011 was particularly poignant because of her roots on the island of Hispaniola. As I climbed out of the taxicab and walked onto Santiago’s Calle del Sol, the Romantic gods found it very amusing to have a summertime shower come down on me. This historic street and city had witnessed the transformation of my being during many summers of my youth and now, as I dipped into its busy streets for some last minute photos and shopping before my evening flight, I knew that the skies of the Dominican Republic were speaking to me. Naturally, my Romantic inclinations appreciated nature’s ability to reflect my inner emotions. As the gumdrop-sized rain drops began to fall on my chest and resonate with the beatings of my heart I walked through these very familiar streets looking out for moments in which my camera would be able to capture the images I needed to feature in my project. As the universe would have it, the darkest of clouds dimmed the streets and squeezed torrential volumes of rain onto this ‘street of the sun’ forcing me to find refuge in a storefront along with other pedestrians. What followed could only be described by Paolo Coehlo’s phrase, ‘maktub’. It was written and the universe had conspired to make things happen for me. Those six hundred seconds that followed allowed for me to witness exchanges between store owners, customers, and those of us who only sought refuge. We all represented distinct purposes and backgrounds. Specifically, there was a young Haitian woman who was carrying a basin filled with toasted peanuts. Even her journey had been brought to a halt by the pitter patter of raindrops on her merchandise. 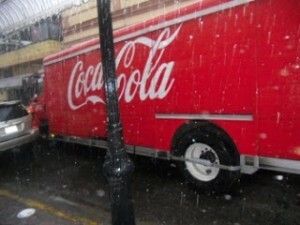 Undoubtedly, the coincidence of our coming together had only transpired because of the inclement weather. All I could do was stare at her face and the nonverbal cues she communicated with her eyes. We were clearly, to one another, two women on a mission and reflections of our disparate worlds. Though we didn’t know each other’s languages we shared a smile and a nod of accordance that clearly stated: “This rain has derailed us!” As we held this silent conversation through our gazes a loud horn coming from a tractor-trailer sized Coca Cola truck interrupted our next move. This vehicle was having difficulty making a turn onto the colonial-sized street. All I could think at that moment, other than the irony of that situation, was about how much my perspective had transformed over the past decade of my life in which I had entered adulthood in a pre and post 9/11 world. A decade in which the homogeneity of being a Latina in the Bronx was distinctly redirected and redefined as I moved into different regions of New York for my educational and professional endeavors. More recently, my perspective had been influenced by my educational journey over the past two weeks. The New Haven portion of the Yale/NYU Colonial Latin America Institute created the necessary foundation from which to develop my unit, “Perspective Matters”. The participants and lecturers developed my thirst for knowledge about Colonial Latin America. As a high school English teacher in a New York public school I knew I’d have to develop a unit that developed the skills assessed in the New York State Regents exam. In my decade of teaching I have found success because of my ability to relate the curricular material to the lives of my students in a very Constructivist manner. 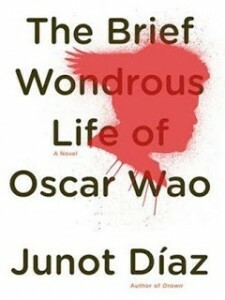 I knew that I wanted to feature Junot Diaz’s Pulitzer winning novel in my unit because of its compelling connecting effect. In order for my students to comprehend any excerpt of this novel they would have to develop their perspective and explore Dominican history and Latino identity. I must admit that my motives were clearly connected to Gardner’s Cultivation Communications theory in which he claims that as a society we define certain aspects of society based on the media images we consume rather than our first-hand, sometimes limited, experiences. While at New Haven, I selected Diaz’s excerpt as the main focus of his activity both because of the series of images that were at the center of the piece and because I knew that I would be able to capture these images firsthand the following week during our trip to the Dominican Republic. I was also very excited to select Diaz’s excerpt because of the large representation of students of Dominican descent in my school. I knew that their perspectives would contribute immensely to our discussions. 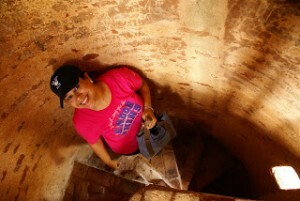 The moment I stepped foot on Dominican land I knew that my week in that country would be transformative. The itinerary created by the InteRDom team was full of a variety of visits, lectures and panels that promised to take my project to the next level. Every day’s theme nourished a part of my essence as a teacher and Latina of Dominican descent. Every visit and every guide through historical landmarks created windows for me to look through and use in the future. In specific, the day we spent at Altos de Chavon provided an amazing workshop and tour of the site’s museum and grounds. While visiting the Colonial Zone and the site of the first sugar plantation in Boca de Nigua I certainly understood the power my students would access through this project and their study of Diaz’s literature, Dominican history, and global society. I am currently working on developing the stage from which my project will be taught in all of my tenth and eleventh grade classes. I certainly look forward to the exploration and possible conquest.